I wore this outfit shopping and to the cinema on Saturday. I'm usually just a maxi girl in the summer, but I thought I would mix it up with this thick wooley jumper (that I seem to wear with everything). It was such a comfy weekend outfit, and definitely fits the monochrome trend this spring. My earrings, my beautiful earrings, I bought at London Fashion Weekend back in September from the Lola Rose stand, probably my most favourite earrings of all time. They are very classic, and go with basically everything. I swear the middle picture makes me look like I have super grey roots - I swear I don't! I checked after seeing this haha! 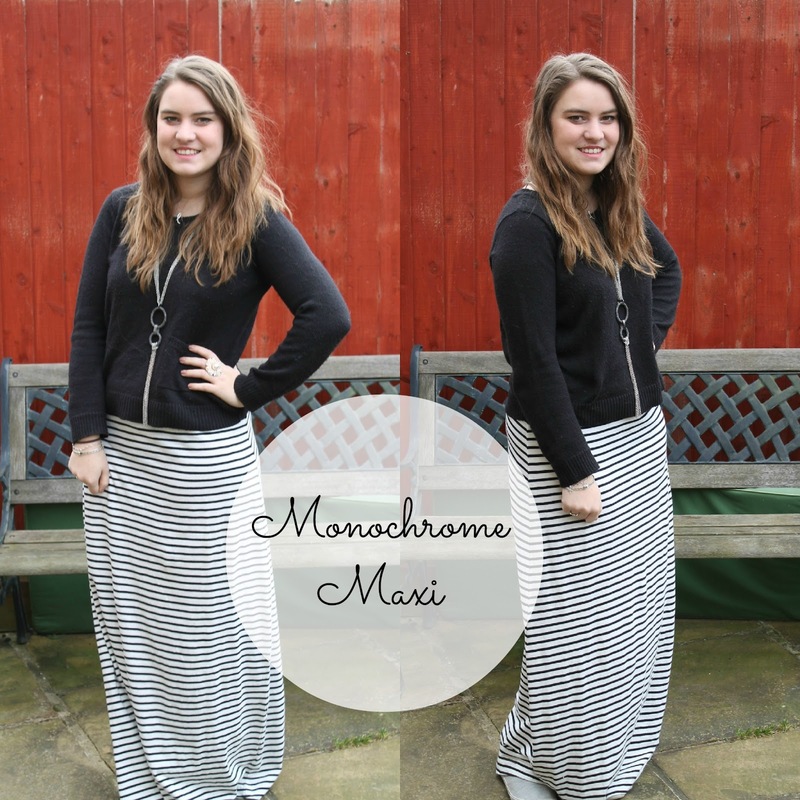 Would you wear a maxi at the moment? This french connection dress looks gorgeous! I don't know why but I often feel silly in a maxi - as i don't feel girly enough to pull off full length! Thanking you - loving the rock and roll comparison!